STEELERS ARE "HEAVY POLITICAL HITTERS"
Available to Elected Officials Over Other Fans? As if you needed one, here is yet another reason to love and cheer on our beloved Green Bay Packers over the Pittsburgh Steelers (Stealers?) this Sunday. 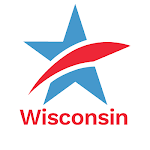 A recent release from our friends at the Center for Responsive Politics (CRP) shows that Packer executives, coaches and other team officials did not try to influence the election of any federal candidates for Congress or contribute to special interest groups in 2010. In fact, they didn't contribute one cent to political candidates for Congress in Wisconsin or anywhere else. Good for them! By contrast, the Pittsburgh Steelers brass played big-time political cash distribution in the 2010 elections, contributing over $32,000 to candidates for the U.S. House and U.S. Senate in Pennsylvania and elsewhere. The Steelers are characterized by the CRP as one of the National Football League's "heaviest political hitters against one of the least" (the Packers). Team execs and coaches are, of course, legally able to contribute to candidates like any other citizens. But we like it when they channel all of their energy (and cash) into molding a championship team. There is one area, however, that the Packer "big cheeses" could improve upon. 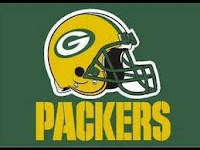 Sunday's Green Bay Press-Gazette reported that the Packer organization is distributing precious Super Bowl tickets to elected officials over other citizens. Again, it is their right to do so, but is it the right thing to do? Common Cause in Wisconsin weighed in with our take in the article. What do you think? But either way.............GO PACK GO! Money in Politics: Yet Another Reason to Love the Green Bay PackersTweet this!